Bro, do you even liftoff? AUSTIN (KXAN) — The Austin Fire Department posed a fair question along with incredible photos of a recent crash: What happens when you try to make your limited production $385,000 Ferrari fly? Several AFD C-shift crews were called to the crash on Friday, Jan. 13 around 2:30 a.m. at the 3300 block of Redbud Trail. A witness told firefighters the car was traveling at more than 100 miles per hour as it passed over the bridge on Redbud Trail headed toward Westlake Drive. The Ferrari driver, 28-year-old James Allen, missed his first turn — “no surprise there,” AFD said — and drove straight into the woods, going airborne for about 40 feet. The car then flipped over in the air and landed on its side, down a 40-foot ravine. The three vehicle occupants had only minor injuries. 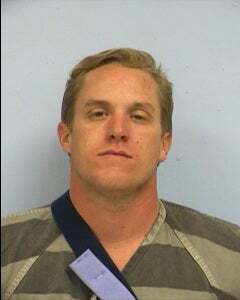 Allen was arrested on a charge of driving under the influence. According to city records, Allen had been out at Steampunk Saloon on 6th Street prior to the crash. Looks to me like it was a 458...which only has 2 seats.